The most potent heroes inside the universe, together in one box set. 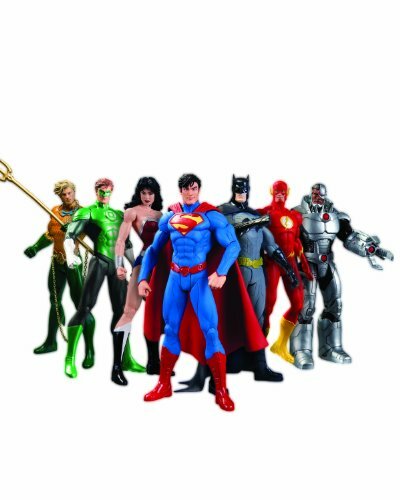 Using the iconic Justice League characters from DC Entertainment Superman, Batman, Wonder Woman, Green Lantern, The Flash, Aquaman, and Cyborg We Can Be Heroes helps our nonprofit partner organizations Save the Children, International Rescue Committee and Mercy Corps provide on-the-ground support where it is required most. They need our help. More than 9 million folks in Somalia, Ethiopia, and Kenya are in need of immediate assistance. We Can Be Heroes is a giving campaign designed to increase awareness and raise funds to supply relief for the drought and famine in the Horn of Africa. 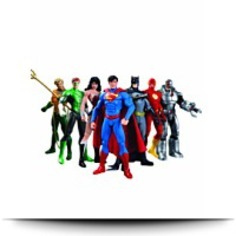 Your obtain of this very special set featuring DC Comics The New 52 action gures will benefit We Can Be Heroes. One small act can make you a hero. Its the worst hunger crisis in 60 years. 10% of the buy price will go straight to saving lives. Dimensions: Height: 4" Length: 7" Depth: 4"
Package: Height: 5" Length: 20.2" Width: 9.5"